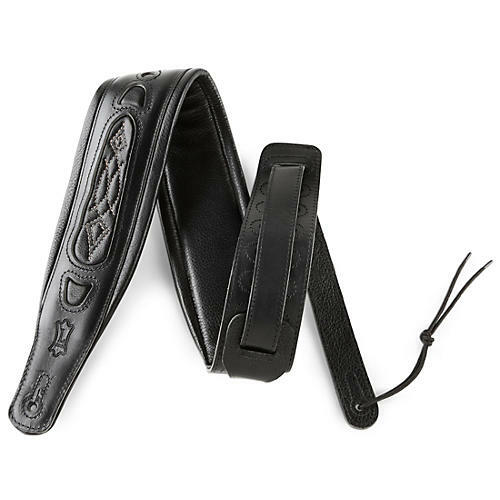 This Levy's classic leather guitar strap features contrasting garment leather windows, foam padding, and garment leather backing. 3" wide. Adjustable from 38" to 53" long.